This is how Archbishop Sebastian Francis Shaw, Archbishop of Lahore, expressed himself to Fides News Agency. 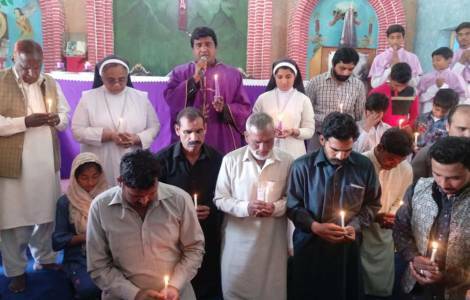 He celebrated Mass in the church of Saint John, offering it for the martyrs of the deadly attacks that took place in the two churches of Youhanabad, an area where there are 100,000 Christians. The Archbishop personally met the relatives of the victims and those who were injured. The Archbishop expressed gratitude for the armed forces, in particular for the Pakistani army, “always present in every part of the country for our security and protection. “We are saddened by the killings in mosques, especially because they were people gathered for prayer. Let us pray even for the people who mourn their loved ones, it is a great loss for them. May God console them and give them the strength to endure this loss”, He added: “We can understand the pain of those people, many times we Christians in Pakistan have gone through this pain and we still suffer for it. “We pray for the governments of Pakistan and New Zealand, to defeat the evil of terrorism and may peace prevail throughout the world, and many people around the world live in peace, joy, and happiness,” concluded Mgr. Shaw.